Targeting dry areas in the lawn with a hose is a much more efficient use of water than using sprinkler systems to resolve the problem. It’s reasonable to set your controllers to automatic mode, but you should watch the weather for storms and make frequent (at least weekly) adjustments to your controllers as necessary. 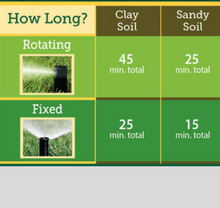 Optimal watering time is early morning, but anytime between 8 PM and 8 AM is good. Insert a screwdriver into the soil. If it’s easy to push in then the soil has plenty of water, no watering is necessary. If the screwdriver only penetrates the soil to an inch or is difficult to push in, then the soil is dry and watering is needed soon. This test may not be accurate in very sandy soils. 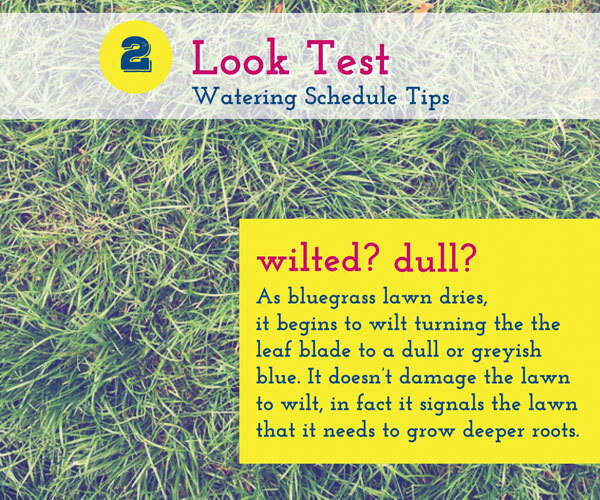 As bluegrass lawn dries, it begins to wilt causing the leaf blade to change color to a dull or greyish blue. It doesn’t damage the lawn to wilt, in fact it signals the lawn that it needs to grow deeper roots. 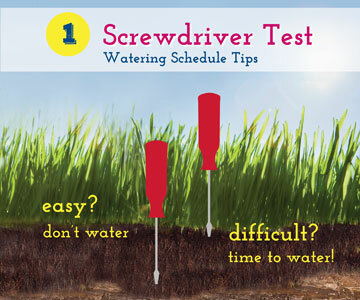 If it receives water the same day it wilts, lawn will recover quickly without any damage. 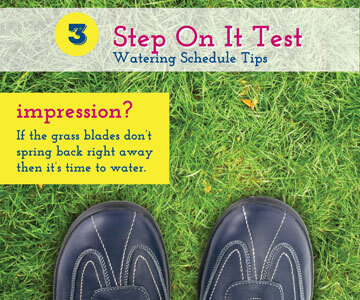 Water helps keep grass growing upright. As it dries, the leaves wilt and won’t spring back up quickly if pressed down. To test whether your lawn needs water, step on it. If the grass blades don’t spring back right away then it’s time to water. It will tell you all by itself if it needs water. 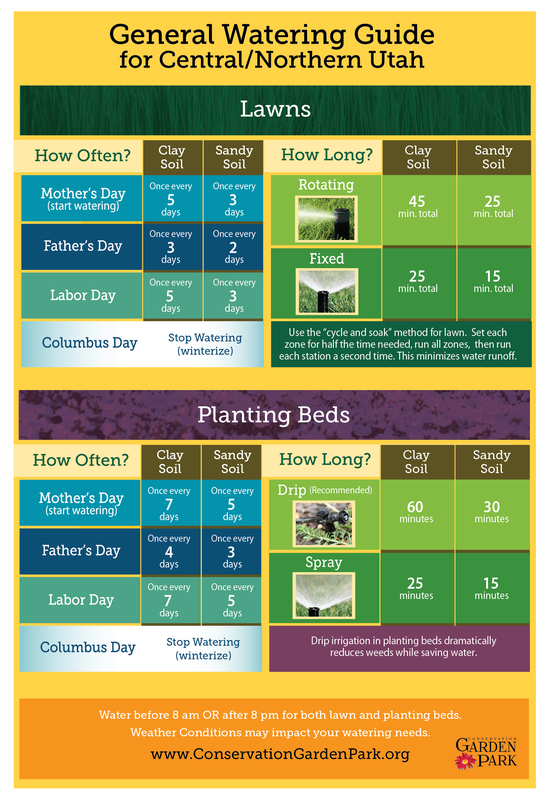 Follow the General Watering Guide for Central/Northern Utah to know how to water your lawn and planting beds throughout the year. Jordan Valley Water Conservancy District service area include the following cities and communities: Bluffdale, Draper, Herriman, Kearns, Magna, Midvale, Riverton, South Jordan, South Salt Lake, Taylorsville, West Jordan and West Valley.